Jack founded the firm's Health Care Practice Group which represents a wide variety of health care providers. 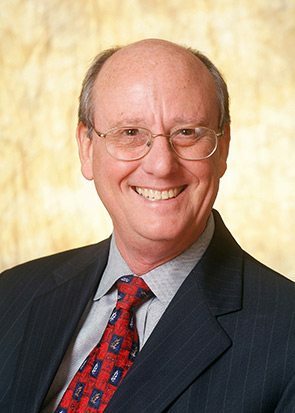 He has practiced health law for over 40 years, and has extensive experience in all areas of health law including Medicare/Medicaid fraud and abuse, medical staff credentialing, EMTALA issues, certificate of need issues, professional licensing, Medicare sanctions, and reimbursement appeals as well as general corporate and litigation matters involving health care providers. Listed in The Best Lawyers in America in the Health Care Law category for over 20 years, Jack is a frequent lecturer on various health law issues and has authored numerous articles on health law for both legal and medical professional journals. He is co-author of the Legal Guide for Physicians in Alabama and has been an adjunct professor teaching health law at the University of South Alabama Medical School. In addition, Jack was selected for inclusion in Alabama Super Lawyers from 2008 through 2014 and was named “Lawyer of the Year” in 2014 for Health Care Law by Best Lawyers in America. He serves as a member of the Law Faculty of the National Association of Medical Staff Services, and teaches their National Certification course in various parts of the country. Jack served as a member of the Committee of the Medical Association of the State of Alabama (MASA) that prepared the Model Medical Staff Bylaws for Alabama. Jack served as General Counsel for both the Medical Association of the State of Alabama and the Alabama Board of Medical Examiners. He was one of the draftsmen of the initial Alabama Certificate of Need laws, the Alabama Medical Licensure Act, the Alabama Medical Liability Act, and the Alabama Administrative Procedure Act. Jack has served as Chair of the Administrative Law Section of the Alabama State Bar and is a member of the American Health Lawyers Association, the Alabama State Bar, the Birmingham Bar Association, and the ABA. Jack earned his B.A. at Huntingdon College and his J.D. from the University of Alabama School of Law. Burr Alert: Antitrust Issues Facing Physicians in Medicaid and Professional Licensing. Probationary Medicaid RCOs – How Do Physicians Respond Without Subjecting Themselves to Potential Criminal And Civil Liability?